Has your child received a chiropractic check for subluxations? It is important to get your child’s spine checked for any subluxations so they can grow and develop properly. Dr. Clements has adjusted infants as early as 1 week old. 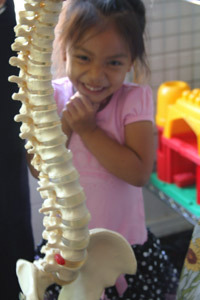 Call our Garden Grove chiropractic office today to schedule your child for a chiropractic checkup!